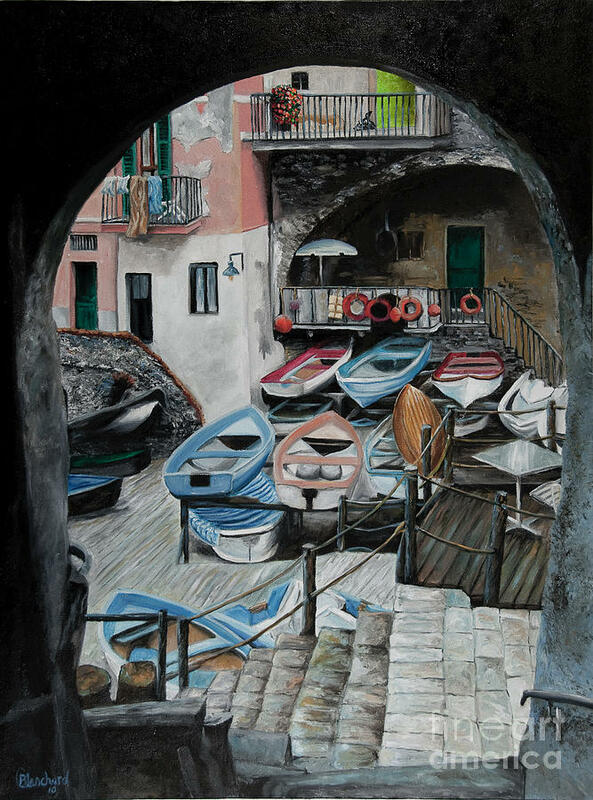 Harbor's Edge In Riomaggiore is a painting by Charlotte Blanchard which was uploaded on October 5th, 2010. This painting has special meaning for me because of the lovely day spent getting to this point. 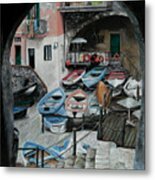 Riomaggiore is the last little village in Italy's national park known as Cinque Terre (five towns.) The day was spent hiking with family, hiking from village to village along a breath-taking trail, winding up and down the terraced mountainsides overlooking the lovely blue Mediterranean Sea. 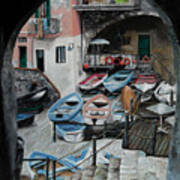 It is a full day hike to get to Riomaggiore and the trail ends here at the water's edge. That's great, Charlotte. It really captures the character of Riomaggiore well.